The Local Business Awards acknowledge outstanding local businesses and their people who go above and beyond. Bring it on Sports have been delivering sports, dance, fitness and self defence activities to primary and secondary schools for 11 years. We also offer USA Scholarship services, school holiday & vacation care programs, children’s parties, sports travel, corporate activities, coaching seminars and skills clinics. We are very proud to be the recipients of the 2018 St George Local Business Award for Outstanding Fitness Services! We would like to thank our dedicated team of coaches and instructors for all their hard work and acknowledge our valued clients for their continued support. 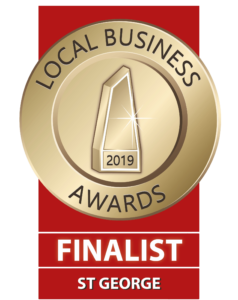 For the first time ever we are running for the Local Business Awards! We would really appreciate your support so please click on the photo below to give us your vote!